Although the holiday season is meant to be a time for joy and celebration, it can also bring with it a great deal of stress. There are additional pressures to manage at this time of year that can make it hard to make it through the season without losing your cool. In this blog article, we offer a few simple tips that can help you to survive holiday season stress and make the most of this time of year. No matter what your faith, or lack thereof, the end of the year presents many opportunities for celebration – as well as for stress. After all, it’s called the ‘silly season’ for a reason! There are the school holidays to manage, often busier-than-usual workloads, visiting relatives, gift shopping, travel, and many other potential pressures to consider. Remembering the reason for going to all this extra trouble can be a key factor in maintaining a healthy mindset over the festive season. Why do I feel the need to host celebrations each year? Could someone else host? Could we visit our friends/family at a less busy time of the year? Could I ask help from other family members or friends, to lower the pressure? Am I putting undue stress on myself by being a perfectionist? What are the positives about this time of year and how can I embrace those? Anyone who deals with stress and anxiety on an ongoing basis is well aware of the importance of predicting potential stressors and making a plan for managing them when they arise. If this time of year tends to be a very stressful one for you, it’s worth taking a look back on past years and examining the things that might trigger a stress reaction. Does your workplace go into overdrive in preparation for an end-of-year break, for example? It can help to let your family and close friends know that you might have limited availability during this time, so that you can allow yourself time to focus on your work without feeling guilty for missing out on other activities. If you think you might have difficulty in managing your increased workload at this time of the year, is it possible to delegate tasks or ask for some additional help? And when it comes to festive celebrations, ensure that you’re not taking on too much in terms of organisation and preparations by asking everyone to pitch in. Play your favourite music whilst doing things like preparing meals or cleaning the house. Prepare healthy snacks that you can take to work with you during busy times, to keep your energy levels up. Take regular breaks from whatever you’re doing and reward yourself with a cup of tea,, a quick phone call to a friend, some mindfulness mediation, or whatever else makes you feel good! Schedule ‘me time’ moments in advance and let those around you know that you’ll be unavailable during those times. When you’re taking a break or concentrating on a particularly intense task, try turning your phone off or even just putting it in the next room. Removing the temptation to look at your phone constantly can be a huge weight off the mind. Trying to multitask can actually make it harder to get things done. At a time of the year when many of us are dealing with an increased workload, children home from school for the holidays, and preparing festive season celebrations, it can be tempting to try managing several tasks at once. Research actually shows that multitasking makes us less productive, despite popular opinion. Not only that, but it adds to our stress levels, makes it harder to concentrate, and can lead to mistakes. To lower your stress levels and manage your tasks more effectively, concentrate on one job at a time before moving on to another. The beginning and end of the holiday season poses the greatest risk for suicide, according to a study conducted in Queensland in 2014. There are many factors contributing to this statistic, including increased loneliness, heightened stress, and more. Those who suffer from ongoing mental health concerns such as anxiety and depression are much more likely to be at risk, however, any of us can find ourselves overwhelmed at this time of the year. The most important thing that any of us can do, to maintain our own mental health and survive holiday season stress is to ask for help. 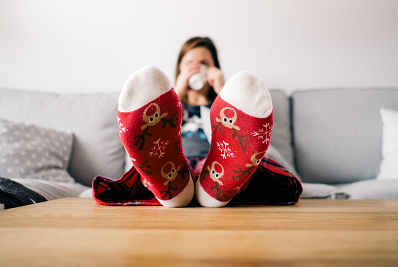 Surviving the silly season can become much more manageable by remembering to make your own health a priority and following the simple tips listed above. If you’re struggling to manage your stress, or know someone who is, reach out for support. That might mean making an appointment to see a counsellor, or simply speaking with friends and family about what you’re going through.